It time for Here Comes The Boys Challenge and the theme is sketch to follow. Our lovely Woo has prepared a lovely sketch to work with. I decided to go with brown and yellow combination and use one of the cute football images from LOTV. Our sponsor is Dr. Digi. I hope you like it and you'll join us at Here Comes The Boys Challenge. Hugs! 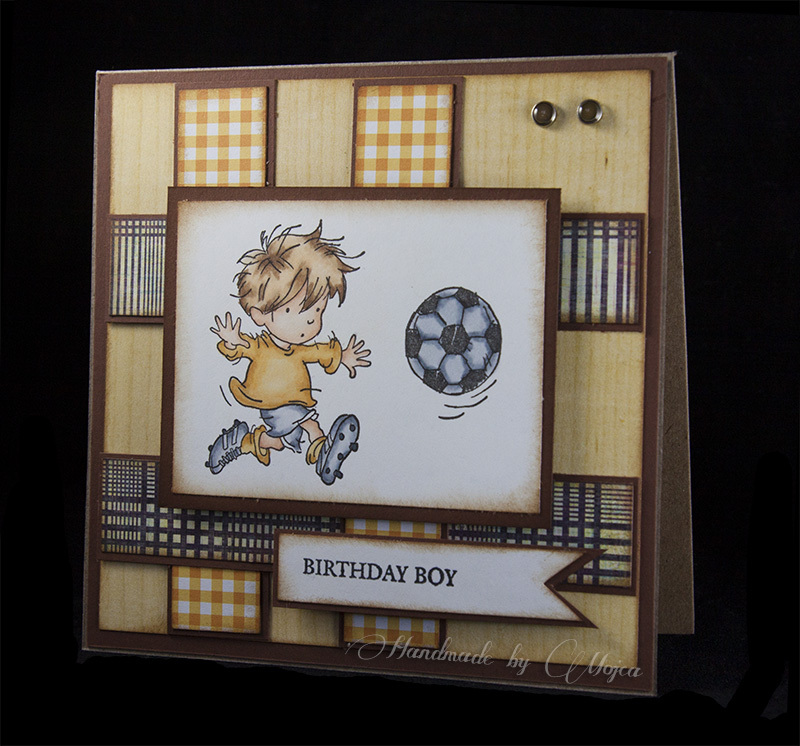 Gorgeous card Mojca. I love the cute image and wonderful papers. Supe motiv in papirčke si izbrala za voščilnico. Čudovita je! Luštni papirčki, postavitev in motiv. O, je luškana. Super si izbrala barve in lepo pobarvala. 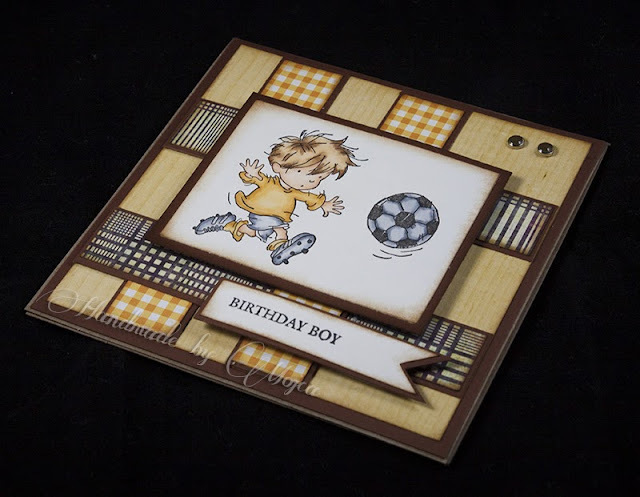 A really fun boy card, I love the cute image. Tako lepo si jo barvno uskladila in sestavila. Cudovita je. Oh wow, this is a gorgeous masculine creation. Adore the earthy tones and its a wonderful creative take on the sketch. Wonderful Card. The image is cute and your colouring is brilliant. The papers are great and I love the inked edges. Fab image and a lovely layout. Predivno. Svidjaju mi se boje, a motiv je odlican. Super narejena.Všeč mi je postavitev. Čudovita postavitev in kombinacija barv. Sem dobila super idejo za svojega nečaka. Hvala.